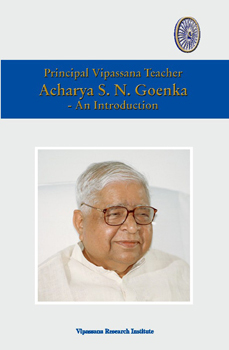 This book gives a brief life sketch of Acharya Satyanarayan Goenka and the honours he received from various countries. He was not only the Principal Vipassana teacher, but also a poet. The book outlines how he made a quantum leap from business man to Vipassana teacher. It is good to read a book about dear Goenkaji who gave the world so much and is not with us anymore.